James Corden is the master of "Carpool Karaoke" - but now the Liverpool players want to take his crown. 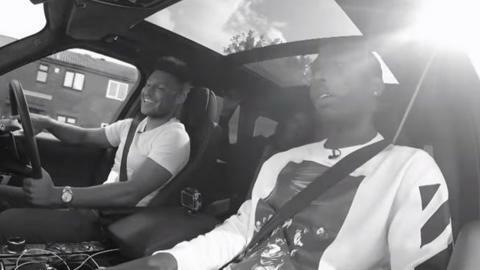 Alex Oxlade-Chamberlain joined new team-mates Daniel Sturridge, Nathaniel Clyne and Joe Gomez for the spoof video. The boys made the 3.5-mile journey from Anfield to Liverpool's Melwood training ground, singing their version of Mario's Let Me Love You. They asked each other the questions everyone wants the answers to, including "Who's the best looking?" and "Who's the worst dressed?" One of them also reveals a surprising middle name. Fancy a laugh? Skip to 6:23 to watch Sturridge show off his best moves. He even calls out Corden, saying: "He ain't got ish on me." You'll Never Walk Alone even makes an appearance as the boys show off their singing skills with the iconic Liverpool song.